Brian is as B.C. home grown as it gets. He started his skiing career at the early age of 2 and has not missed a season in the last 57 years. Brian has seen many remote corners of B.C working as a prospector and fire Warden . He started backcountry skiing in 1976. In 1984 he started working as a winter custodian in Kokanee Glacier Park, in 1987 he sailed into the Valhalla Lodge and has been involved since it’s inception. Brian has spent the last 29 ski seasons exploring and navigating every nook and cranny of Valhalla Lodges tenure, literally having put down almost every first Ascent and Powder descent in the Tenure. compiling well over 200 weeks of slaying Valhalla Powder. Safe to say he knows this terrain like the back of his hand. Even Winter’s White-outs can’t lose him. Perhaps why they call him “The Bomber” ? In 2010 Bomber took over the reins of his second operation Mount Carlyle lodge. busy guy and he loves to ski Powder !!! After spending his winters in the Valhallas and Kokanee ranges herding white Crystals he returns to the snow free ranges and goes back to his simple life of being a farmer . Valhalla Lodge – MHR Ltd. – Owner, Office Manager, Winter & Summer Guide, Custodian. Leo saw his first mountains at 18 and fell in love with them. Moving from Ontario to BC, he started his seasonal life style of treeplanting in the spring and summer, and skiing in the winters. After a few years, the treeplanter turned into a planting contractor, organizing crews who have planted millions of trees all over BC. 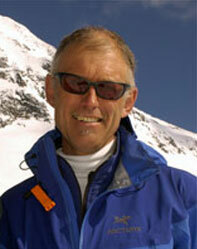 In the winter the ski bum turned into a ski guide through the Association of Canadian Mountain Guides. 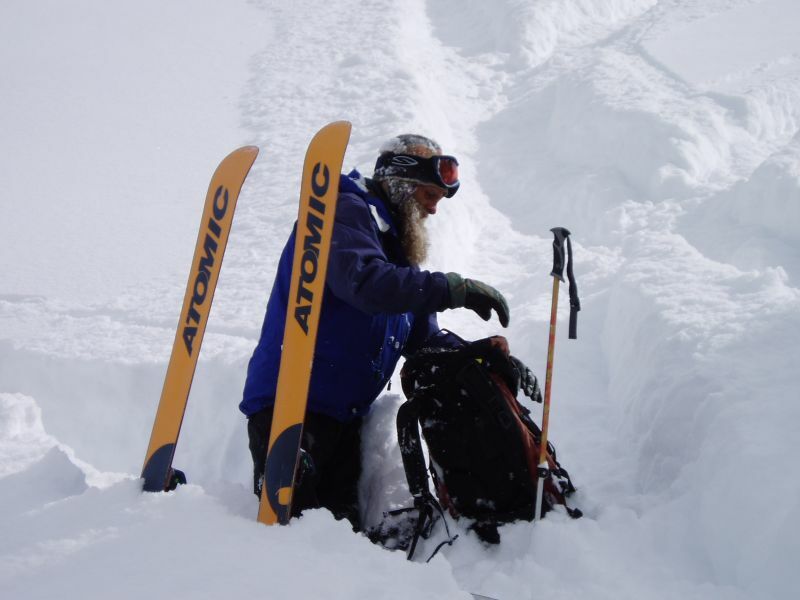 Although Leo has resigned from the ACMG, his guiding career has involved guiding ski tours, heli-skiing, cat skiing, and teaching avalanche and backcountry ski courses over the past 30 years. Mark “Helicopter Pilot extraordinare”. Mark has flown with us for over 20 seasons. Mark has been flying helicopters for over 37 years and has intimate knowledge of our local mountain weather, terrain and flight paths. He has over 17,000 flight hours. 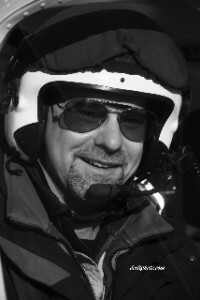 Valhalla Mountain Lodge is very fortunate to be flying with such a “steady pilot” as Mark. We have thoroughly enjoyed Mark playing such an important role in our mountain life! Beyond getting all us skiers ( and our gear), in and out of the lodge he also has been instrumental in flying for us in conjunction with yearly maintenance and has flown most of the Firewood (300+ cords and counting! ), and building material to the lodge location. Not to mention how many “Honey Buckets ” he has flown out, not ever dropping a one ! Nor making a mess out of , or leaving a “Skid Mark” in the back of my truck ! Thanks bud, your a Hero.